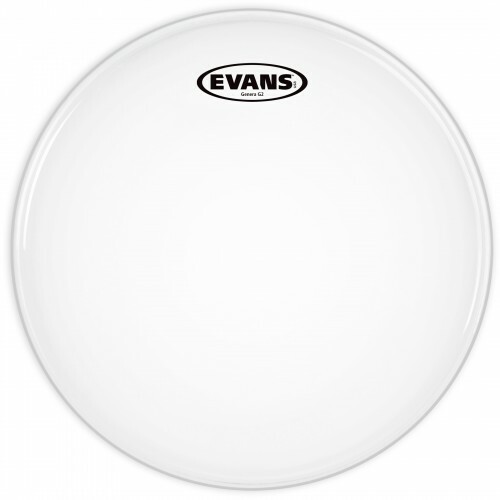 The Evans G2 Clear has great attack, projection, and durability. 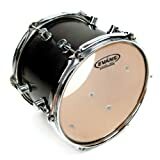 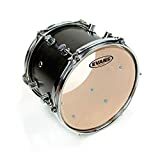 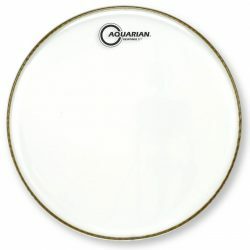 This drumhead is excellent in medium to loud situations, giving a little control to the sound without choking the sustain. The Evans G2 Clear is a well balanced drumhead made with two plies of clear 7mil film, and no added dampening, allowing for a nice sustain. 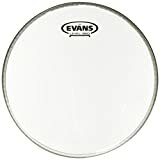 It has slightly more focus than the single ply Evans G14, and has more attack than the Coated Evans G2. 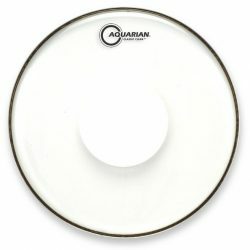 The G2 Clear provides a moderate amount of sustain, and keeps overtones from ringing out of control. The Evans G2 Clear allows your drums to be heard in louder environments, thanks to the strong and bright attack. 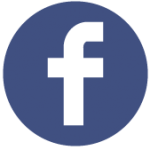 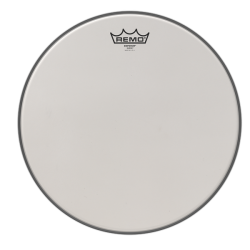 The attack is followed by a medium-length balanced sustain, with good presence for low, midrange, and higher frequencies. 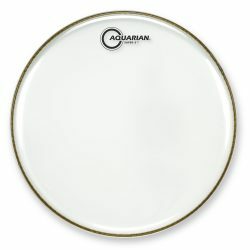 Overtones are present, but the two ply design helps to keep them from ringing out of control. 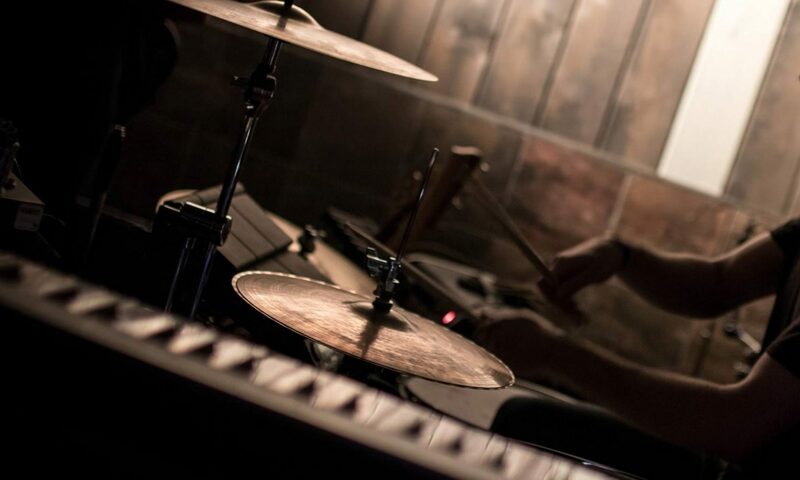 While the center produces a more focused sound, the G2 Clear can also be hit around the edge to give some colourful overtones when needed. The G2 Clear’s two plies of film add durability, allowing you to hit hard when needed. 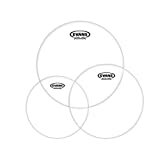 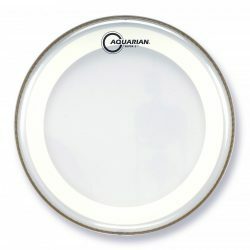 While this drumhead performs adequately at lower volumes, the G2 is not responsive enough for extremely light playing. 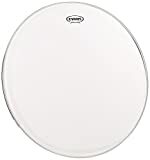 This drumhead is great on toms, and for snare drums if you don’t plan on using brushes. 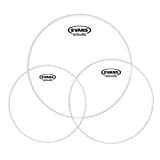 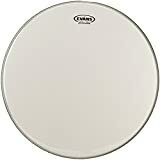 If you want to avoid the excessive overtones and shorter lifespan of a 1-ply drumhead, while still allowing your drums to resonate, the Evans G2 Clear is a great option. 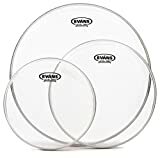 Tip: If you play with brushes, the clear surface of the G2 Clear does not respond well… Check out the slightly warmer sounding Coated Evans G2 instead.